Morningside dug deep in the crisis to halt a Mt Gravatt charge and register a memorable 31-point victory in a tough QAFL Velocity Sports Cup grand final that was not decided until late in the final term today. The Panthers led by 21 points at the final change but Mt Gravatt blasted three goals in four minutes to draw within three points at the eight-minute mark of the fourth quarter with their wind at their back. Morningside got the steadier at the 10-minute mark when State half-forward Austin Lucy snapped a miracle goal from the boundary before the ball see-sawed between the half-back lines. Both sides wasted chances until Paul Shelton put his head down and knocked the ball cleverly out of a pack and Kent Abey dropped back in space to mark uncontested and goal. Inspired, the Panthers blasted three more goals in five minutes to finish with a 14.10 (94) to 8.15 (63) victory that was far closer than the final scoreboard indicated. On a hot day that hovered around 31 degrees, the most defining moment of the game came at the 16-minute mark of the opening term, when State captain David Lillico was felled behind play by Tom Tarrant. Tarrant was reported for the incident and had his number taken in the ensuing melee, meaning he was automatically sent off. He was able to be replaced on the ground, but it meant Mt Gravatt had just the 21 players instead of 22 with their rotations. They also had Aiden Pratt carrying an injury through the middle stages of the game. Lillico was left wobbly on his legs but refused to leave the field, and went on to play a significant part in the victory. Lillico had a suspected broken jaw, leading Morningside coach John Blair to describe his efforts as the most courageous he had seen on the football field. The strong-willed centreman had got plenty of ball early and managed to have the time to use it that many of his teammates did not. Mt Gravatt applied exceptional pressure to the Morningside ball carriers all game and generated more scoring shots through the majority of the game. But they were unable to apply scoreboard pressure to a Morningside defence that was magnificent all day, none more so than Ben Gibson. The 19-year-old former State under 18 centre-half-back consistently destroyed the ball in marking contests and set up numerous rebounding opportunities. He was well supported by the lively Nathan Kinch and Nic Tomlinson, although both occasionally turned the ball over at critical times. At the other end of the ground, Adam Tarrant was outstanding at full-back, keeping Shaun Mugavin to a solitary score and backing himself to run down the ground. Sam Carins rebounded well all day and set up his team’s final quarter surge, while Andrew Scott was in everything and was among the best players on the ground to the final change. Neither of the ruckmen had a major influence in the windy conditions, with Ryan Head doing well to keep Jacob Gough in check. Nathan Gilliland showed why he won the Grogan Medal by winning a mountain of possession and generating plenty of shots on goal, although he was left to lament finishing with 1.6, although two of those behinds were when the game was effectively over. While Mark Rootsey, Lillico and Paul Shelton changed the Panthers’ fortunes late in the game, Mark Kimball also lifted and kicked two late goals to ice the game, including the clincher when he weaved through a pack and kicked truly. Gavin Grose did a solid job opposed to Abey following Tom Tarrant’s departure, although Abey’s goal late in the third term for having his arms chopped was critical to giving his side breathing space. Darryl White took his place in the Vultures side, but they certainly missed the wizardry of Don Barry, who suffered a calf injury in the preliminary final. White was solid, while 17-year-old Sean Yoshiura was excellent with his work in the midfield for the Vultures. Josh Vearing generalled play from defence but did not have the space further afield to get forward as he was able to do in the preliminary final. 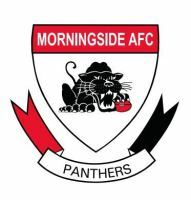 The two sides were level at quarter-time, Morningside kicked four goals into the breeze to lead by eight points at the long break, and extended that to 21 points at the final change with 3.5 to 1.4 in the third term. Abey and Kimball both finished with three goals, while Shane Morrison was the Vultures only multiple goalkicker with two. Gibson won the Joe Grant for best afield with his outstanding display in a defence that was overworked for much of the day. Morningside also received great service from Ryan Holman in the midfield.